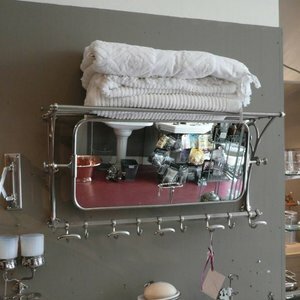 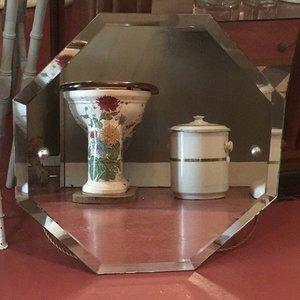 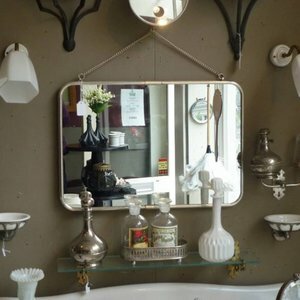 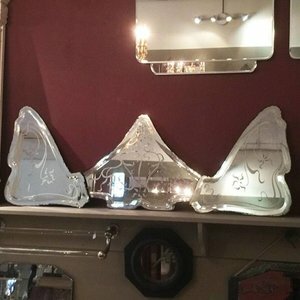 Our collection of antique mirrors and reproductions for bathroom and wc. 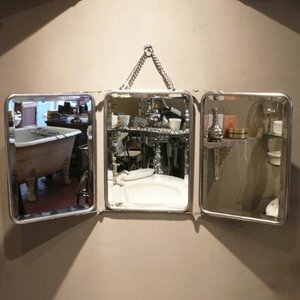 In our collection you will find various models of mirrors: antique or reproductions. 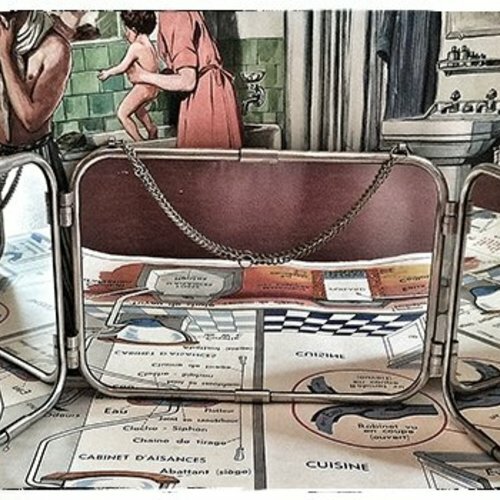 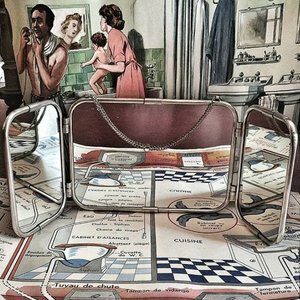 The antique models often have their original coating with mercury silver, beveled borders and are sometimes framed in nickel or wood. 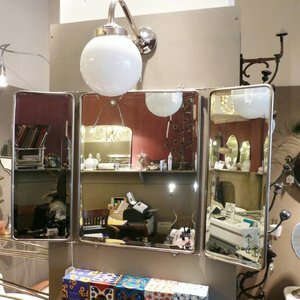 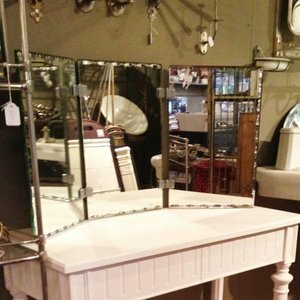 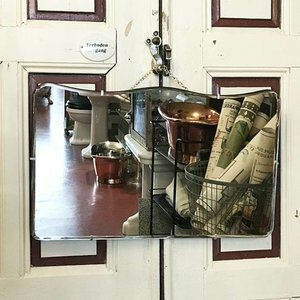 Two identical antique or vintage mirrors are very difficult to find but you will see them from time to time in our collection. 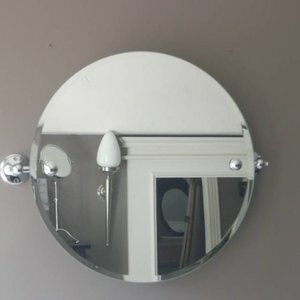 If you are looking for two identical mirrors for your bathroom you will find them certainly between the reproduction models. 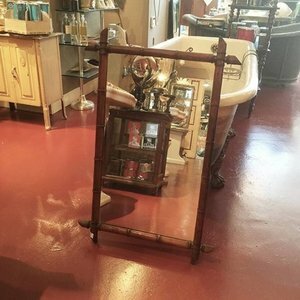 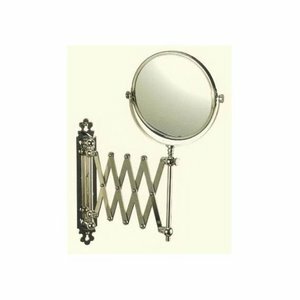 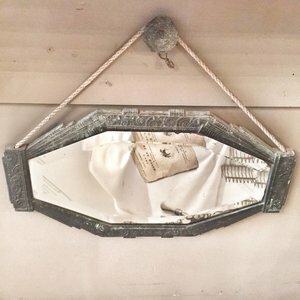 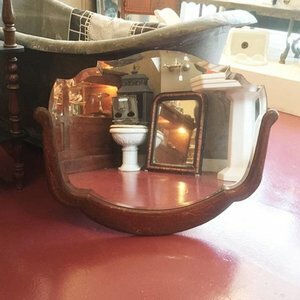 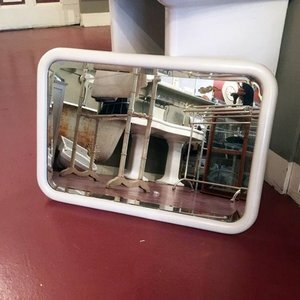 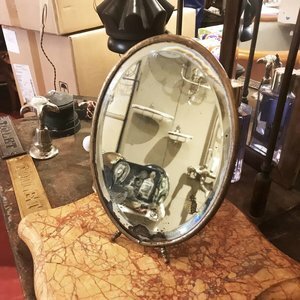 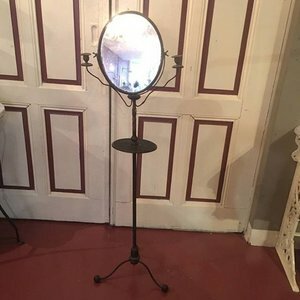 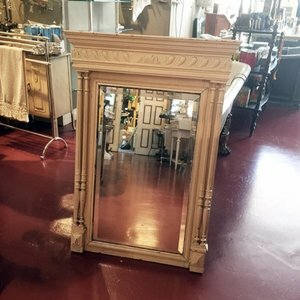 Antique trifold mirrors are becoming very rare when in good conditions and also antique shaving mirrors are difficult to find. 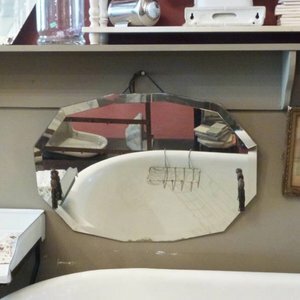 In our collection you will find them antique as well as in a reproduction.